Japanese cryptocurrency exchange Zaif has recently experienced a “system glitch” that allowed traders to temporarily purchase Bitcoin for free, resulting in one user “buying” more than $20 trillion dollars worth of Bitcoin. The glitch, which occurred between 5:40 p.m. and 5:58 p.m on February 16th, was announced via a post on the exchange website and reportedly lasted for 18 minutes, during which users were able to place BTC/JPY orders at a rate of 0 yen per Bitcoin. Several users were able to capitalize on the temporary error, with one user managing to obtain, at least as far as Zaif was concerned, 2,200 trillion yen worth of BTC (which equates to roughly $20 trillion USD). The optimistic trader then attempted to cash out with apparent disregard for the fact that Bitcoin’s market cap is currently sitting at around $180 billion. The blatantly erroneous nature of the order resulted in Tech Bureau, the Osaka-based firm that operates the Zaif exchange, identifying and resolving the issue by 7:34 p.m the same day. All transactions made as a result of the glitch were invalidated, with Tech Bureau correcting user balances accordingly. According to Zaif, the “glitch” occurred due to a failure in the price calculation system of the platform’s “Simple Trading” element, resulting in the ability to buy and sell at zero yen “overlapping.” The situation was then exacerbated by abnormal transaction board figures presented due to traders listing BTC purchased at a zero yen rate listing it on the exchange. Tech Bureau has recently come under fire from Japan’s Financial Services Agency (FSA) regarding their security practices, and reputedly raided by the organization earlier this month as a result of the massive Coincheck hack, which resulted in the loss of more than $530 million in cryptocurrency. FSA officials have implied that Coincheck Inc, also operated by Tech Bureau, lacked adequate cyber security measures and was negligent in securing user capital. 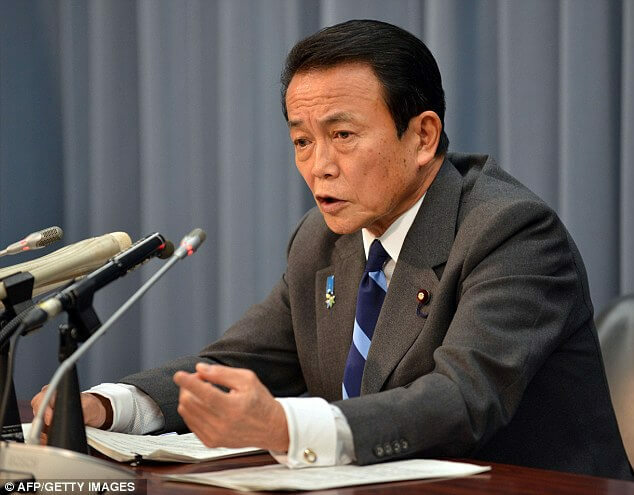 Finance Minister Taro Aso stated at the beginning of the month that the raids would expand in scope as part of a drive to strengthen government supervision of exchanges. Japanese cryptocurrency-themed teen idol group “Virtual Currency Girls” are listed amongst the victims of the Coincheck hack, losing 2 million yen ($18,400) held in a hot wallet on the exchange. Both Zaif and Coincheck are counted amongst the 16 registered exchanges that have been given the green lights by the Japanese government in the current Japanese cryptocurrency regulatory vacuum. While an official Japanese stance on crypto regulation is forthcoming, the 16 operational exchanges currently active in the Japanese market are set to form a self-regulatory body in April. The as-yet-unnamed alliance has coalesced in response to the after a failed merger of two existing industry groups—Japan Blockchain Association and the Japan Cryptocurrency Business Association. As the Japanese FSA has refused to recognize more than one self-regulatory body, the new group intends to present a unified industry voice, guiding the direction of cryptocurrency policy and legislation with the Japanese government.